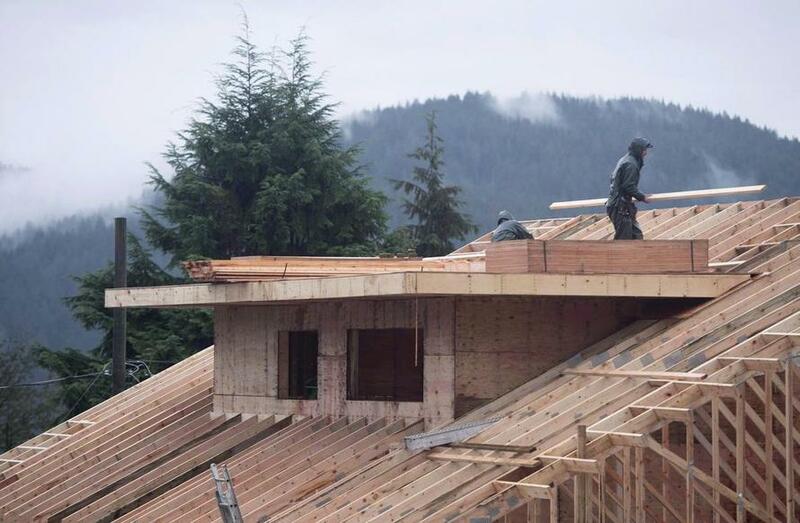 Canadian housing construction starts slowed in August, coming in at a seasonally adjusted annual rate of 200,986 vs. 205,751 in July - missing expectations of 210,300, according to CBC. "The national trend in housing starts continued to decline in August from the historical peak that was recorded in March 2018," said Bob Dugan, CMHC chief economist. 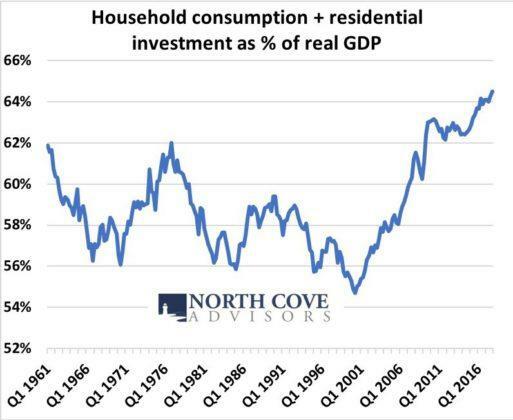 "This moderation brings total starts closer to historical averages, largely reflecting recent declines in the trend of multi-unit starts from historically elevated levels earlier in the year." 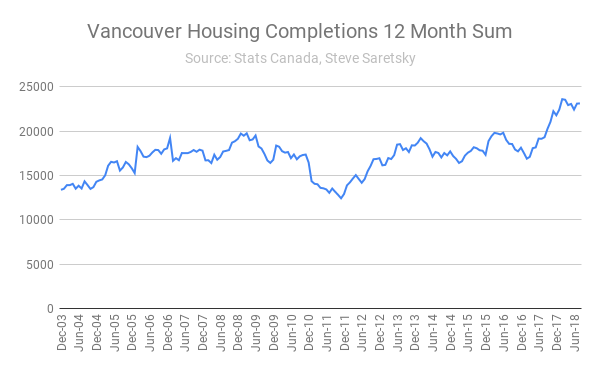 Of note, housing starts are in Metro Vancouver are slowing to a greater extent, falling 4% from its March 2018 peak, according to Steve Saretsky of the VanCity Condo Guide. 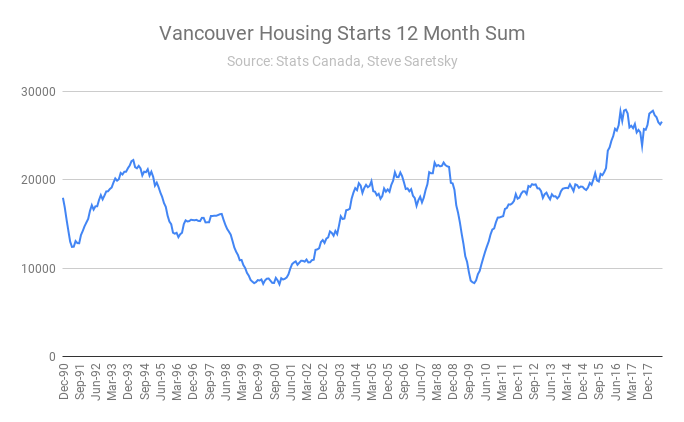 Saretsky notes that a rebound in housing starts seems unlikely "given how extended this current expansion is," while the labor market is at capacity and rising interest rates should cause investors to reduce exposure considering that Vancouver home sales are at a 17-year low. 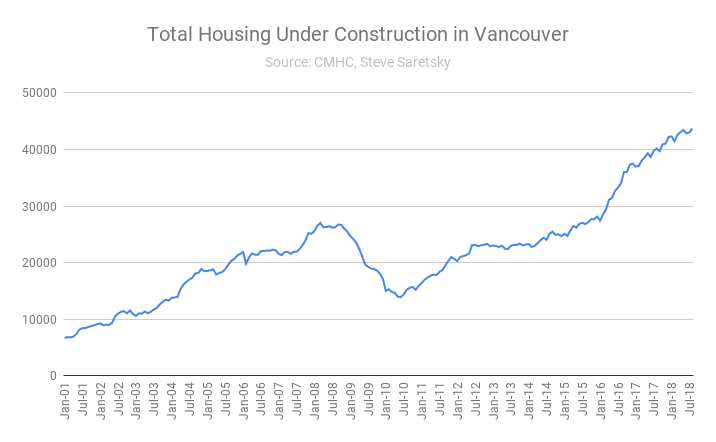 And as Saretsky notes, "this will be an important sector to watch moving forward as construction as a share of total employment in the province of BC is nearly 10%."